The term “Friday Night Wives,” “us,” or “we” refers to Jordan Harrell (d/b/a Friday Night Wives). The term “you” refers to each user or viewer of our Website. Friday Night Wives reserves the right to change or modify the Terms at any time and in its sole discretion. Any changes or modification will be effective immediately upon posting of the revisions on the Website. Your continued use of the Website following the posting of changes or modifications will constitute your acceptance of such changes or modifications. Therefore, you should periodically review the Terms from time to time. If you do not agree to the amended terms, you must stop using the Website. Friday Night Wives does not provide counseling, therapy or legal advice. The information provided on or through the Website is intended to provide general information and is not intended to be, should not be construed to be, and should not be used as a substitute for, counseling or therapy. In addition, any legal information provided on or through the Website is not intended to be, should not be construed to be, and should not be used as a substitute for, legal advice. No privileged or fiduciary relationship shall be formed between you and Friday Night Wives or any of its representatives as a result of your access to or use of the Website. The Website contains various information in the form of text, graphics, news, reports, and other materials (tangible or intangible) (collectively, “Content”). You acknowledge that the Website contains Content that is protected by copyrights, trademarks, service marks, trade secrets, patents, or other proprietary rights, and that these rights are valid and protected in all forms, media, and technologies existing now and hereinafter developed. You also acknowledge that the Content is and shall remain the property of Friday Night Wives or, if applicable, any other party (each a “Contributor”) who has been involved in the preparation or publication of the Content. You shall at no time assert any claims of ownership over any Content by reason of your use of or access to the Website or otherwise. You agree to comply with all copyright and trademark laws and you shall not encumber any interest in, or assert any rights to, the Content. You may not modify, transmit, participate in the sale or transfer of, or create derivative works based on any Content, in whole or in part. You may print copies of the Content, provided that these copies are made only for personal, non-commercial use and that you maintain any notices contained in the Content, or maintained by the Contributor, such as all copyright notices, trademark legends, or other proprietary rights notices. You shall not store electronically any significant portion of any Content. Friday Night Wives authorizes you to view and use the Content on the Website solely for your personal, noncommercial use. The use of the Content on any other site, including by linking or framing, or in any networked computer environment for any purpose is prohibited without Friday Night Wives’ prior written approval. Friday Night Wives may, but is not obligated to, allow you to communicate, submit, upload, transmit or otherwise make available text, images, audio, video, and other content through the Website (collectively, the “Submission(s)”), including in the form of comments, feedback, submissions, or other information. By transmitting Submissions on or through the Website, you (a) represent that you have the legal right to do so under the Terms, (b) grant Friday Night Wives a perpetual, irrevocable, worldwide, royalty-free, assignable, sublicensable license to use, reproduce, store, modify, display, distribute, prepare derivative works based on, and transmit such Submissions, and (c) waive any and all rights in such Submissions. Friday Night Wives will not be required to treat any Submission as confidential, and will not be liable for any ideas for its business (including without limitation, product, or promotion ideas) and will not incur any liability as a result of any similarities that may appear in future Friday Night Wives business. Friday Night Wives will be entitled to use the Submission for any purpose, without attribution or compensation to you or any other person. You acknowledge that you own whatever material you submit, and use of your Submission by Friday Night Wives will not infringe on or violate or conflict with the rights of any other person. You agree not to make any Submissions that (i) are or may reasonably be considered to be, harmful, threatening, abusive, harassing, tortious, defamatory, vulgar, obscene, pornographic, libelous, invasive of another’s privacy, bigoted, hateful, or racially, ethnically or otherwise offensive or objectionable, (ii) violate any law, statute, ordinance, or regulation (including, but not limited to, those governing export control, intellectual property, consumer protection, unfair competition, anti-discrimination, or false advertising), or (iii) are known or reasonably should be known to you to be false, inaccurate, or misleading. Friday Night Wives has the right, but not the obligation, to monitor, screen, block, post, remove, modify, store and review Submissions or any other communications sent through the Website, at any time and for any reason, including to ensure that Submissions conform to the Terms, without prior notice to you. We are not responsible for, and do not endorse, promote or guarantee, the opinions, views, advice or recommendations in any Submissions. If you have knowledge of abusive, infringing or otherwise unlawful or inappropriate Submissions or other content on the Website, we want to know. Please send an e-mail to _________________ describing the content or conduct in detail, including the website address where the content is found and the date and time viewed, and we will investigate removing this material from the Website. The Website may offer online capabilities to purchase products. You must be 18 years of age or older to make any such purchases. As to products and services featured on the Website, please note that we make reasonable efforts to accurately display the products that appear on the Website. However, the colors, dimensions, and details that you see on your computer monitor will vary depending on your equipment, so we cannot guarantee that your equipment will accurately display the details of our products. By ordering a product online from Friday Night Wives, you represent that you are 18 years of age or older. You are responsible for paying all sales, use, and other similar taxes relating to any of your online purchases of products from Friday Night Wives. You are also responsible for paying all shipping and processing charges relating to your online purchases and for insuring your purchases. Please review the information available at our online store regarding our return policies and warranty information. If you use the Website, you are responsible for maintaining the confidentiality of your account and password and for restricting access to your computer, and you agree to accept responsibility for all activities that occur under your account or password. If you are under 18, you may use the Website only with involvement of a parent or guardian. Friday Night Wives reserves the right to refuse service, terminate accounts, remove or edit content, or cancel orders in its sole discretion. The content provided on the Website is provided as a service to members of the public. Information presented on the Website is provided for informational purposes only. No information presented on the Website constitutes legal, financial, medical OR THERAPEUTIC advice, nor does it create anY PRIVILEGED OR fiduciary relationship between Friday Night Wives and any other PERSON. You acknowledge and agree that the Website and the content are provided on an “as is” and “as available” basis. None of Friday Night Wives, any of its respective affiliates, officers, directors, employees, agents OR OTHER REPRESENTATIVES (collectively the “Friday Night Wives Parties”) guarantees the accuracy, completeness, or usefulness of any of the content. 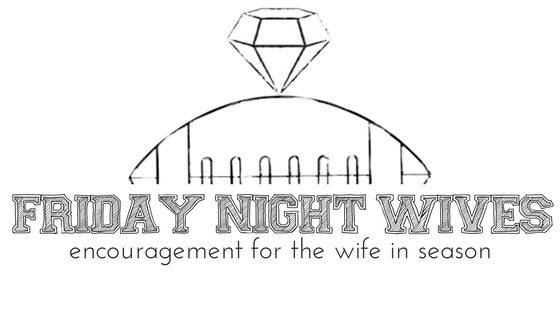 The Friday Night Wives Parties do not warrant that the Website will be uninterrupted or error-free or that the Website, its server, or any files available for downloading through the Website are free of computer viruses or other harmful elements. You expressly agree that the entire risk as to the quality and performance of the Website and the accuracy or completeness of the content is assumed solely by you. The Friday Night Wives Parties do not make, and hereby specifically disclaim to the fullest extent permitted by applicable law, any representations, endorsements, guarantees, or warranties, express or implied, regarding the Website or any content, including without limitation, the implied warranties of merchantability and fitness for a particular purpose and non-infringement of third-party rights. Without limiting the generality of the foregoing, the Friday Night Wives Parties disclaim to the fullest extent permitted by applicable law any warranties with respect to any results that may be obtained from the use of the Website. you expressly agree that your use of the website is at your sole risk. Under no circumstances will the Friday Night Wives Parties be liable for any loss or damage caused by your OR ANY OTHER PERSON’S reliance on information obtained through the content on the Website, including without limitation any loss or damage caused by your OR ANY OTHER PERSON’S reliance on information obtained from third party sites to which tHE WEBsite is linked. It is your responsibility to evaluate the accuracy, completeness, or usefulness of any information or any content available through the WEBsite. In no event shall the Friday Night Wives Parties be liable for any direct, indirect, incidental, special, or consequential damages arising out of or relating to the content or the WEBSITE, whether based on warranty, contract, tort, or any other legal theory. Because some jurisdictions do not allow the exclusion or limitation of liability for negligence, consequential, or incidental damages, in such jurisdictions the Friday Night Wives Parties’ liability is limited to the greatest extent permitted by law. Your sole and exclusive remedy for dissatisfaction with the Website is to stop using the Website. You agree to indemnify, defend and hold harmless the Friday Night Wives Parties and third parties for any losses, costs, liabilities and expenses (including reasonable attorneys’ fees) relating to or arising out of your use of or inability to use the Website, any user postings made by you or using your account or computer or other device, your violation of any terms of the Terms or your violation of any rights of a third party, or your violation of any applicable laws, rules or regulations. The Friday Night Wives Parties reserve the right, at their own cost, to assume the exclusive defense and control of any matter otherwise subject to indemnification by you, in which event you will fully cooperate with the Friday Night Wives Parties in asserting any available defenses. If you would like to link another website to the Website, you may only do so if you obtain Friday Night Wives’ prior permission. Such link may not suggest or imply Friday Night Wives’ endorsement or approval of any product, position, entity, or individual, or portray Friday Night Wives in a false, misleading, derogatory or otherwise defamatory manner, and the linking site may not contain any adult or illegal material or any material that is offensive, harassing or otherwise objectionable. Any permission to link may be revoked by Friday Night Wives at any time without notice to you or any other person. You may not use the Friday Night Wives name, logo or other graphic of Friday Night Wives to link to the Website without the express written permission of Friday Night Wives, and such permission may be revoked at any time without notice to you or any other person. The Website is based in the State of Texas. Friday Night Wives makes no claims concerning whether the Content may be downloaded or is appropriate for use outside of the United States. If you access the Website from outside of the United States, you are solely responsible for ensuring compliance with the laws of your specific jurisdiction. In the event that any portion of the Terms is held to be invalid or unenforceable, the invalid or unenforceable portion shall be construed in accordance with the applicable law as nearly as possible to reflect the original intentions of the parties, and the remainder of the Terms shall remain in full force and effect. The paragraph headings herein are provided only for reference and shall have no effect on the construction or interpretation of the Terms. Friday Night Wives’ failure to enforce your strict performance of any provision of the Terms will not constitute a waiver of its right to subsequently enforce such provision or any other provision of the Terms. Neither the course of conduct between parties nor trade practice shall act to modify any provision of the Terms. The Terms shall be governed by and construed in accordance with the laws of the State of Texas, except with regard to its conflicts of law rules. Any action relating to the Content, Website or the Terms must be brought in the federal or state courts located in Fort Worth, Texas, and you hereby irrevocably consent to the jurisdiction of such courts. Any cause of action you may have with respect to the Content, Website or the Terms must be commenced within one (1) year after the claim or cause of action arose, or is barred. The Terms contain the entire agreement of the parties for the Website and supersede all existing agreements and all other oral, written, or other communication between the parties concerning its subject matter. You agree to use the Content and the Website only for lawful purposes. You are prohibited from any use of the Content or the Website that would constitute an illegal offense, give rise to liability, or otherwise violate any applicable local, state, national, or international law or regulation. Your privacy is important to Friday Night Wives. To better protect your privacy, we are providing the following privacy policies that explain our online information practices and the choices you can make about the way your information is collected and used when you visit the Website. Our primary goals in collecting personal information are to provide you with a smooth, efficient, and customized experience, to send you information upon your request, to facilitate your ability to make purchases and to thank you for your support. In general, we may automatically gather certain usage information, such as the number and frequency of visitors to the Website. This information may include which URL you just came from, which URL you next go to, what browser you are using, and your IP address. We use such data only in the aggregate. This collective data helps us to determine how frequently our visitors use parts of the Website and to conduct internal research on our users’ demographics, interests and behavior to better understand and serve you. In addition, we may aggregate data and disclose such information in a nonpersonally identifiable manner to partners or third party vendors. In these situations, we do not disclose any information that could be used to identify you personally. We may collect personal information that you voluntarily provide, such as your name, postal address, telephone number, e-mail address, or similar information, when you participate in certain activities on the Website, including (but not limited to) when you make a contribution or purchase to support Friday Night Wives, register for a Friday Night Wives event, send correspondence to Friday Night Wives through the Website, or participate in any activity that requires your personal information. As a matter of policy, we will not sell, rent, or share our donor lists with any third parties. We will not share any personal information about you in ways other than those described herein. However, we will disclose the information we have collected about you in the event we are required to do so by a court, administrative or governmental order, subpoena, or other legal process or requirement. We may also share the information collected about you if we believe it necessary in order to investigate, prevent or take action regarding illegal activities, suspected fraud, intellectual property infringement, violations of the Terms, or other activity that may expose Friday Night Wives or you to liability. The safety and security of your personal information and credit card transactions is important to us, but remember that no method of transmission over the internet, or method of electronic storage, is 100% secure. While we strive to use commercially acceptable means to protect your personal information, we cannot guarantee its absolute security. If you desire to review your own personal information, to correct existing information, or to remove your information, please contact Friday Night Wives via email at _____________________. If you request removal of your personal information, you acknowledge that residual information may continue to reside in Friday Night Wives’ records and archives, but Friday Night Wives will not use that information for commercial purposes. Friday Night Wives reserves the right to maintain your personal information if Friday Night Wives has suspended, limited, or terminated your access to the Website for violating the Terms. Friday Night Wives does not knowingly collect information from children under the age of 13. We encourage parents and legal guardians to monitor their children’s Internet usage and to help enforce our privacy policies by instructing their children never to provide information on the Website without their permission. As outlined in the Terms, you can always choose not to provide information; however, doing so may prevent you from making a purchase or accessing other valuable features on the Website. We want all our visitors to have fun surfing the Website and urge you to use common sense whenever disclosing personal information on the Website or anywhere else on the Internet.